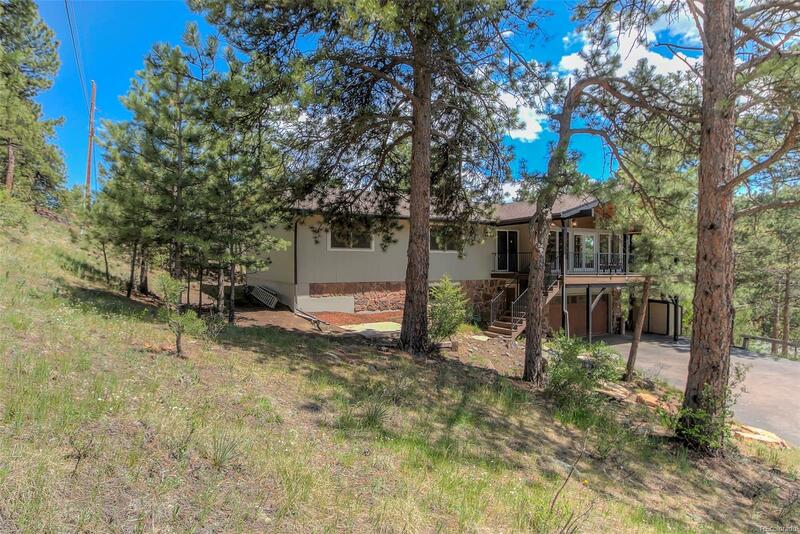 Sleek and stylish, flooded with natural light, this early 1970's raised ranch has been completely remodeled. Bye bye popcorn, Hello tongue and groove! Gleaming Brazilian cherry wood floors throughout the great room, wall of windows, brand new natural stone gas fireplace is just the beginning. Imagine entertaining in the spectacular gourmet kitchen with custom cabinetry and slab granite counters. The super sized covered composite deck adds more living space. There's even an outdoor dining area! Two large bedrooms and the master suite with walk-in closet and beautifully remodeled master bath are all on the main level. Below, you'll find an enormous family/recreation/bar space with moss rock wall and reclaimed wood bar and a third bathroom. All exterior doors and interior doors/trim have been replaced with high quality doors and baseboards. Let's not forget the hot water baseboard heat and new on-demand water heater that we wish all houses had. Brand new roof and exterior paint too!